Food safety management systems in the UK and the EU must be Hazards Analysis Critical Control Points (HACCP) based. Employing an HACCP plan tailored to your specific business needs makes monitoring of food hygiene levels, pest control, accident records, health and safety planning and implementation effective and time efficient. Every member of the team, from part time trainee to full time supervisor, cleaning staff to waiting teams to chefs, new starters and long-term employees, has a responsibility to monitor potential risks and alert management immediately. If there is a hole in the wall this must be investigated. Is this a structural issue? Have you got mice, rats or woodworm? Are there other holes? Are there droppings, feathers, hair or ripped packaging, gnawed wires? There is mould in the fridge. How did it get there? When was the fridge last cleaned? What was used to clean it? How can this problem be resolved now, and prevention of future issues focused on? The adoption of HACCP can mean filling knowledge gaps. 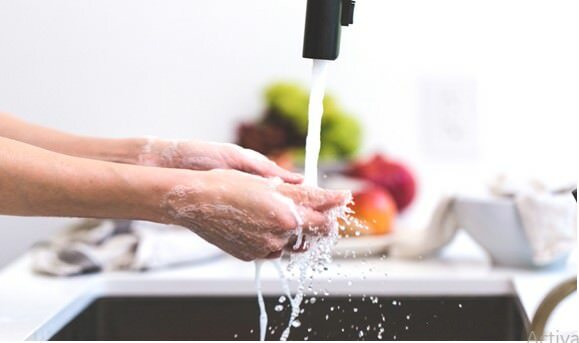 Food hygiene training, HACCP plan guidance and health and safety planning courses are an investment, but training can be viewed as insurance against a food hygiene incident and it provides clarity for your team. You may not welcome the expense, but training is always less costly than being sued, fined or closed after an incident. By using the seven principles of HACCP and ensuring team compliance by following an HACCP plan, many businesses have benefitted from their Food Hygiene Ratings Scores and health and safety records improvement. When staff operate within HACCP’s guidelines there is less scope for risks to remain unaddressed, reoccur or for rogue practices to creep in. Peace of mind needn’t be a distant dream. Level 2 HACCP food safety training: All staff. Components of HACCP food safety management systems. Level 3 HACCP training course: Owners, management and supervisors. Is tailored to the business. Understand the legal requirements for businesses to initiate a food safety management system. How to implement and monitor the controls needed to ensure food safety. How these should be monitored. Comprehend the value of the seven basic principles of HACCP. How these principles can be utilised in a food safety management system. Understand how food safety management tools assist with the implementation of HACCP plans. When to conduct Special HACCP’s. How to customise HACCP to meet your needs. How to identify hazards and implement controls. Be confident in completing a special HACCP form. An HACCP plan safeguards you, your team, business and consumers. Please speak to Food Alert’s capable team today.